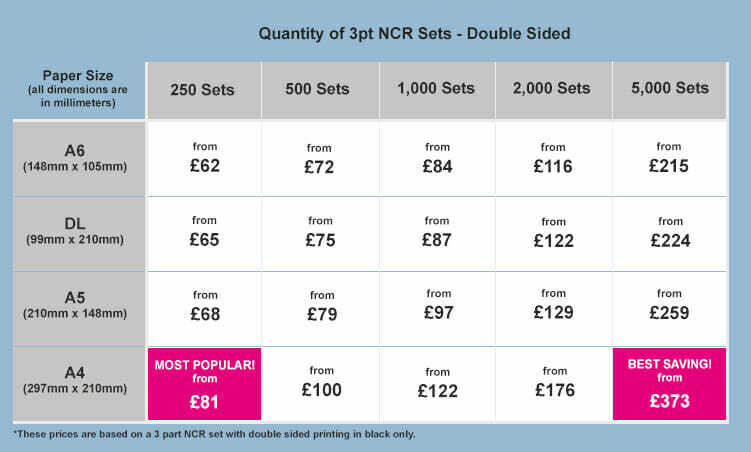 Triplicate NCR Sets (3 part NCR sets) - Double sided, exactly how you want them and at an exceptional price! 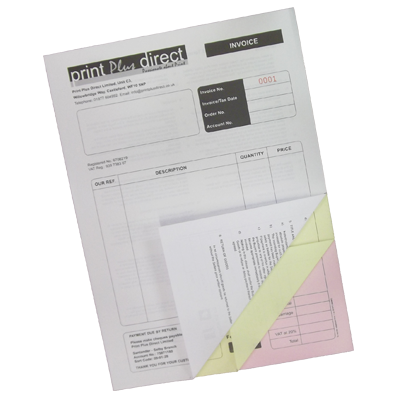 Our 3pt NCR sets are practical for any business. Customise with your company branding and key information, which gives them a professional look. Each order we produce is manufactured to your requirements which makes it unique to you. The great thing about these NCR sets is that we use carbonless paper. This means you can make copies of your form with just one stroke of the pen. You don’t have to repeatedly duplicate your work saving you time and money! 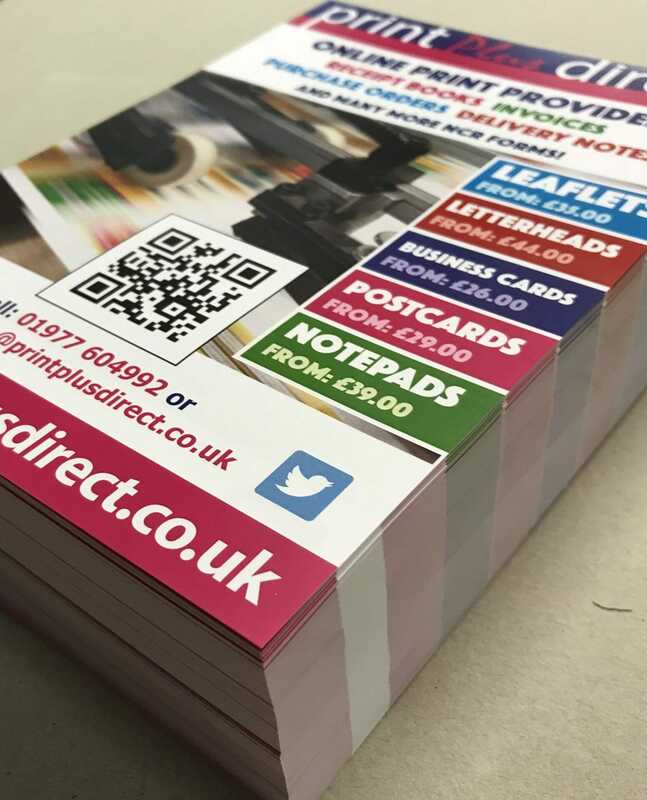 A 3 part NCR set consists of a white top sheet, a second yellow sheet and a bottom pink sheet that are glued together at one edge to form an individual set. This makes them ideal if you have numerous users. Click here if you prefer a 3pt NCR pad or a 3pt NCR book.